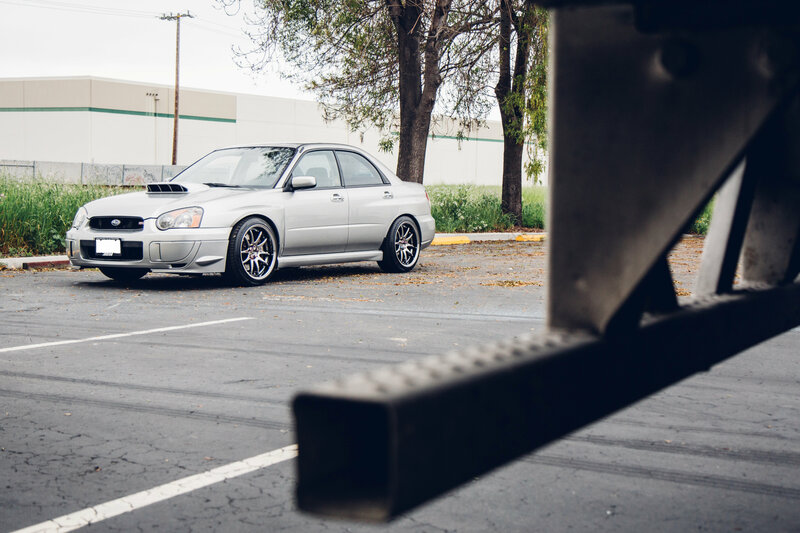 If I didn't tell you now that this was a bugeye you wouldn't believe me right? 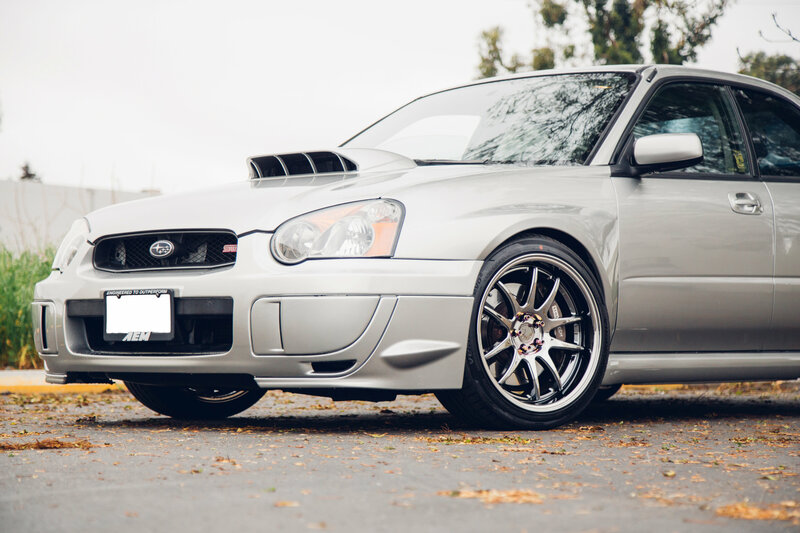 The base of this build is a 2003 Subaru WRX STI, commonly referred to as bugeye for the infamous round head lights. 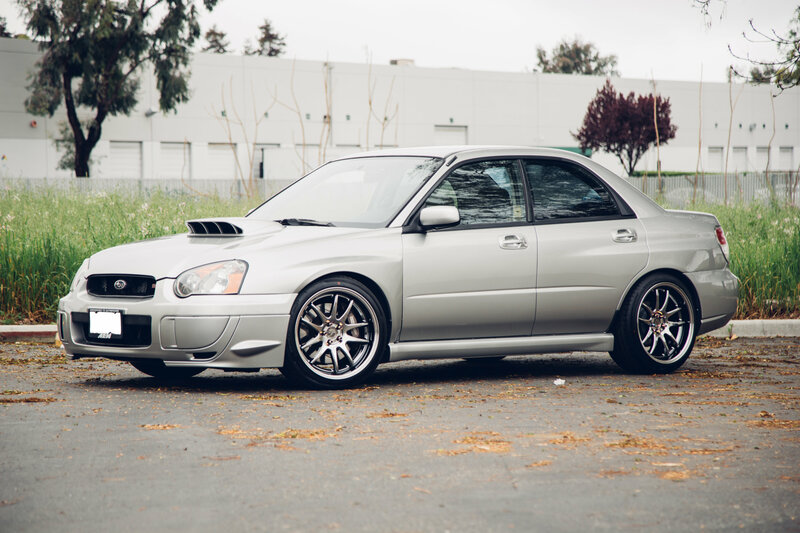 Aaron updated the look with a facelift of the 04 STI and with a fresh new coat of paint. Full BC Coilover suspension and Stoptech BBK 4-Piston calipers are the stepping stones for the fitment of this vehicle. Subarus are known to get down and dirty, but this is simply clean. 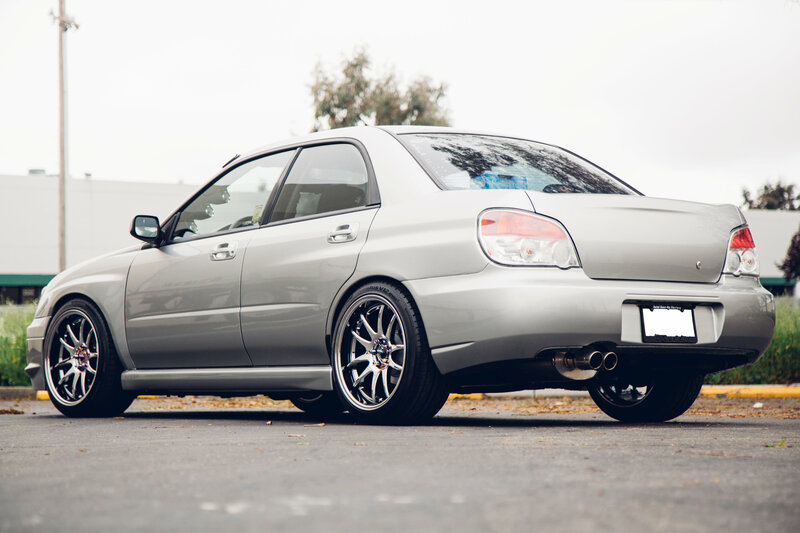 For this STI Aaron fitted the Aodhan DS02 18x9.5 +35 5x100 in Black Vacuum. One of our newer finishes that compliments lighter or darker color vehicles extravagantly. There are no spacers needed to clear the BBK which is always a plus when fitting large lip wheels against larger caliper setups. 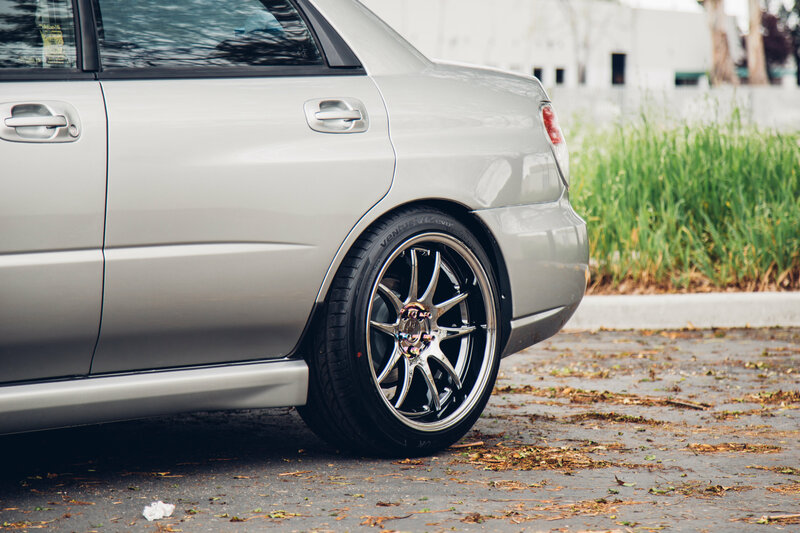 Wrapped around the DS02's are a set of 235/40R18 Hankook Ventus K120. The perfect mix of longevity and performance.